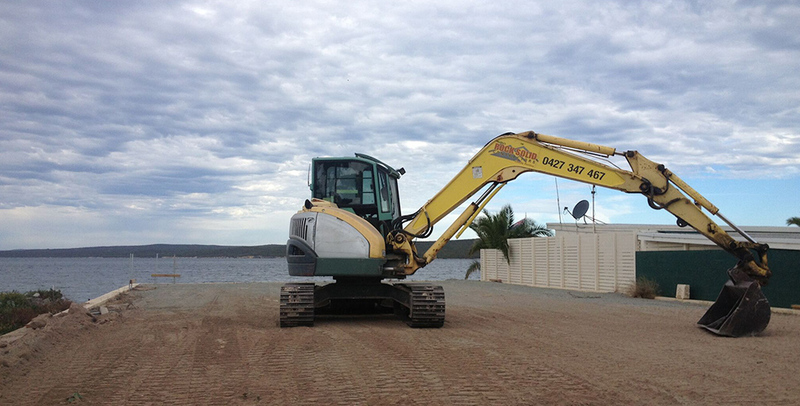 Earthmoving and excavation is all part of the service at Rocksolid Building. With a selection of machinery and skilled in house professionals Rocksolid Building can get the job done for you. We offer contracting services for the residential, commercial, industrial and mining construction sectors. Earthmoving requires precision, efficiency and excellence which Rocksolid Building guarantees along with privacy and respect for you project. Whether a new development, house pad or post holes for your fence, we guarantee a Rocksolid service and a Rocksolid finish. For excavation support in Port Lincoln, Whyalla or around the Eyre Peninsula, make Rocksolid Building your first and last call. At Rocksolid Building we take pride in what we do and we are sure you will be extremely impressed with our commitment to quality.